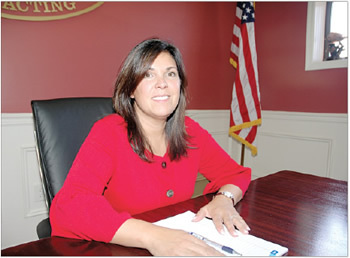 When Maria Fuentes decided to go into business for herself, she knew the odds of success were long. Statistics show most businesses fail in the first few years, even if the owners have experience in the field they’re going into. Maria didn’t. On top of that, she chose a field that’s historically been a man’s domain, stacking the chances for success even further against her. She came up with the idea of starting a landscaping business while on maternity leave from her job at Motorola Researching the industry. Fuentes realized there was a good opportunity in the New Jersey heavy highway landscaping marketplace. Once the certifications were in place, Fuentes could bid as a prime contractor on state projects that are considered primarily landscaping – more than 51 percent of the total job is made up of landscaping. Aspen Landscaping Contracting landed about $2 million in work within its first couple of years, and business took off. With a firm foothold in the market and prospects good, Fuentes’ husband, Don, retired from his law enforcement job and joined Aspen as Senior Project Manager in 1999. Aspen Landscaping Contracting’s phone has rung more and more frequently throughout the past decade, much of the business coming from repeat customers who turn to the company to sub the landscaping portion of heavy-highway projects. Aspen offers topsoil placement, planting, rooftop landscaping, wetlands restoration, soil-erosion control and landfill remediation. More information about Aspen’s services is available online at www.aspennj.net. Aspen Landscaping has closed out numerous jobs since, including one of its most challenging: Echo Lake Park wetland restoration. The company dewatered the site as part of the project, before planting more than a half-million plants throughout the 10-acre site. Plantings were done in “shelving level,” which meant installation at varying depths to ensure their survival. Adding to the challenge, Aspen had to boat to some of the areas in the wetland in order to put the plants in place. Aspen Landscaping Contracting generally has several projects going on at any one time during the company’s main season, which runs from March to December. Depending on work load, Aspen employs 20 to 50 workers, including key individuals such as Project Managers Bill Morgan and Anthony Williamson and General Foreman Frank Cunha. 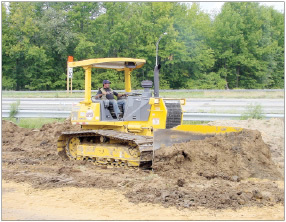 An Aspen Landscaping operator uses a D65PX-15 dozer to place material on a New York jobsite. 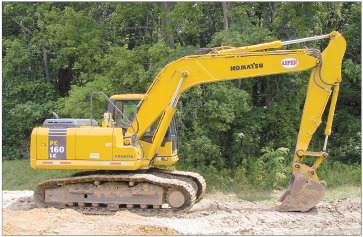 Also playing an integral role is equipment, especially the Komatsu D39, D41, and D65 dozers and PC160 excavator Aspen Landscaping Contracting uses for grading and moving material. 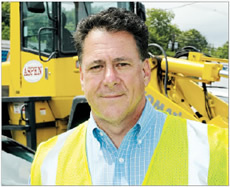 Maria and Don worked with Binder Machinery Company Sales Representative Dominick Vecchiarelli to purchase its Komatsu pieces. “Because we’re usually the last ones on the job, it’s important that we don’t disturb the previous work completed by other contractors, so having the right equipment that allows for that, while giving us the performance to complete our job, is essential,” said Don. 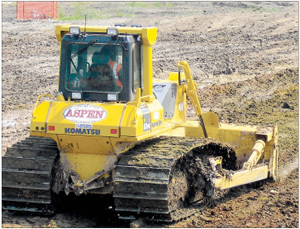 “For example, the Komatsu dozers allow us to spread topsoil with minimal ground disturbance. The operator also has good visibility to the blade and material, so he can place material efficiently with minimal passes. “The PC160 allows us to dig, place and load material, so it gives us versatility,” he added. “Because of its size [37,790 pounds] it’s easy to transport. That’s a nice feature, because we’re frequently moving, so we’re happy with the time savings.” The couple also is happy with the service they receive from Binder Machinery Company. They call on Binder as needed for service and parts. Maria and Don Fuentes readily point out that Aspen Landscaping Contracting won’t continue its success story without continuing to grow its customer relationships. 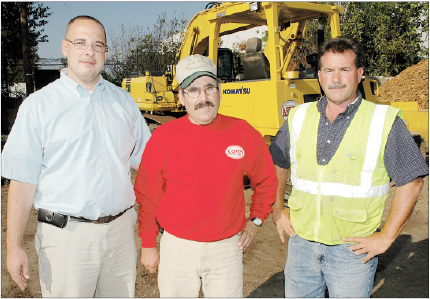 The couple have built the company into one of the most respected heavy-highway landscaping operations in New Jersey. In more recent years, the company also has been working in the five boroughs of New York City and in upstate New York.